Home » Reviews & Articles » Hardware » Gigabyte Z390 AORUS Pro WiFi: Is Midrange AORUS Right For Your Next Build? Gigabytes midrange take on Z390 is here! Today we have for you the Gigabyte Z390 AORUS Pro WiFi. Gigabyte has long made motherboards for consumers and also pushed the limits for the overclocking/XOC community with a staff of well adept overclockers at their disposal. Gigabyte has made arguably some of the most top-tier boards in both the mainstream and HEDT platforms of varying success and design over the years. Gigabyte has really stepped up their game on the recent chipset generation from what I’ve seen with some very overbuilt power circuits but carrying with that note some questionable product positioning as far as feature sets go. 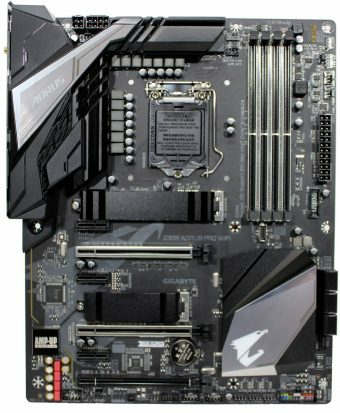 The Z390 like most recent chipset/CPU generations is such that most all boards you will see are within a few percents of each other if tested properly which means this becomes a features race where you as a consumer must look at what each board offers in accordance with your needs to see which board will meet or exceed your needs. What this means is that each board you see today will perform roughly within the margin for error of each other if tested side by side. Unless of course, you are pushing the limits with sub-ambient cooling which is where you may see some other tangible differences that may help push you toward a specific board model or series to better serve your needs. The board we are testing today carries the AORUS branding which has been earmarked as the Gigabyte gaming brand. But now the Aorus Master and Extreme boards which are targeted at Extreme users muddies the waters a bit as normally you will see an extreme OC board with the LN2/Force moniker. Here we see the AORUS Pro WiFi in all of its minimalistic glory. That’s right, the board we have today is not the über high end like we saw with the Maximus XI Extreme. That being said, you can buy roughly 3 of these boards for what one of the Extreme board would cost. 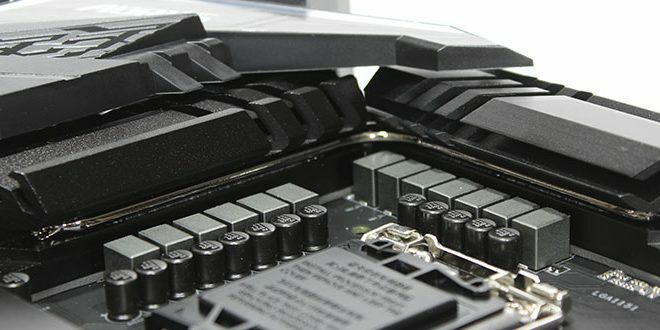 However, do take note that this could quickly change dependent upon the upcoming tariffs as this could severely change the overall landscape of motherboard offerings and pricing. Yes, as mentioned before that’s a massive price delta, and we are not expecting the gigabyte Z390 AORUS Pro WiFi to stack up against the Extreme board in terms of feature set but we want to see how it performs, what are the takeaways and how well can it keep pace with its much higher cost competitor. Yea I know that’s ALOT of data but I want to make sure you have every bit of information provided which is why I copy it here and same with the next page where I copy and discuss their chosen marketing features. Awesome catch, thank you for that… when I imaged it I got my notes mixed vs the 632A for the GT Core power. Updated. I’ve already ordered this board, but was wondering about two things. For one, it was really hard to get my hands on a piece, most shops have discontinued it, even on Amazon DE it was not available. Would you have any idea about the reason? The second is about the WiFi card: On the lower end GAMING 3 WiFi it is an Intel 9560, but could not find any information on it’s, even the schematics positioned the “card” or a built in chip(?) under the shield. So do you know what model is it? I wont be buying that POS. Who do they think they are not following the Intel spec and creating more heat and power consumption, a backwards step imo. Well, to be fair.. Both MSI and GBT showed higher turbo duration than ASUS in this case. It is technically “breaking intel guidelines” but that is not a hard set rule, more where they suggest it be. It does net higher performance in some scenarios but also as you said potentially higher power draw and thermals. Gigabyte comes into the sub $200 realm with guns blazing. Massive performance with a VRM to push it if you have the cooling to do so.